Only check one box at a time to explore a specific type of function family. 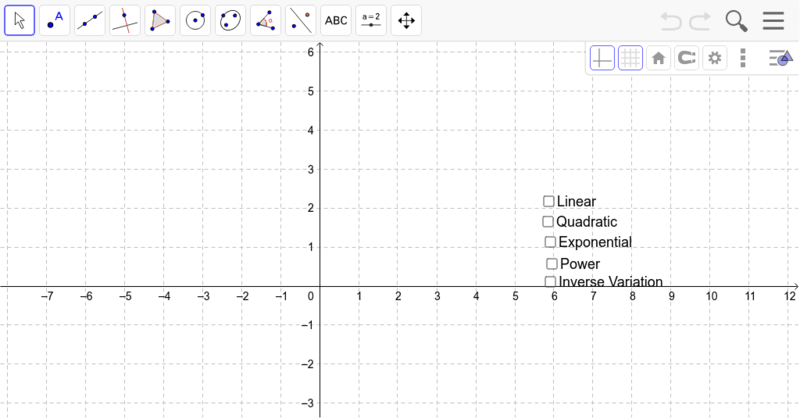 Use the sliders to vary the values of the parameters of each function. Complete the accompanying exploration guide.